Back Muscles: The muscles of the back that work together to support the spine, help keep the body upright and allow twist and bend in many directions. The back muscles can be three types. Action – Movements of the shoulder. 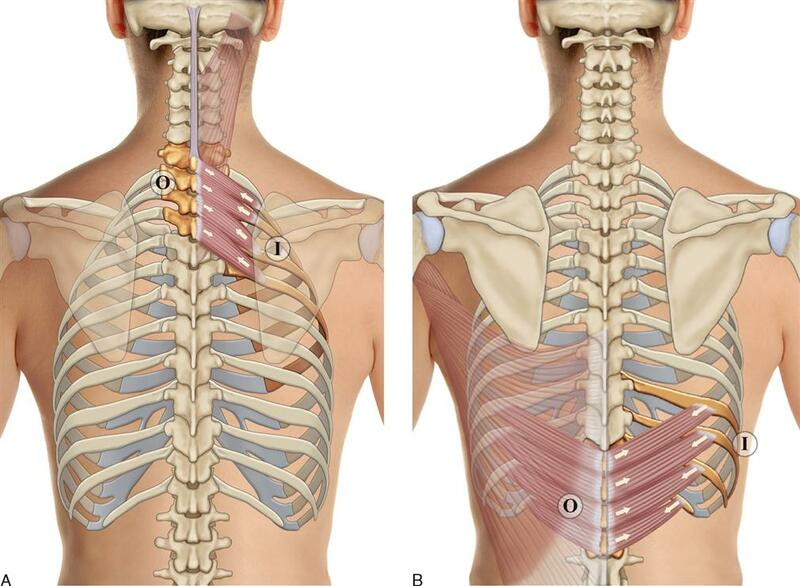 Action – Movements of the thoracic cage. The deep muscles develop in the back called intrinsic muscles. The superficial and intermediate muscles do not develop in the back so-called extrinsic muscles. All superficial muscles associated with movements of the upper limb. Trapezius and latissimus dorsi lie in the very much superficially. Trapezius covering levator scapulae and the rhomboids. Trapezius: The trapezius is a broad, flat and triangular muscle. The muscles on each side form a trapezoid shape. It is the most superficial of all the back muscles. Latissimus dorsi: The latissimus dorsi originates from the lower part of the back, where it covers a wide area. Levator scapulae: The levator scapulae is a small strap-like muscle. It begins in the neck and descends to attach to the scapula. Rhomboids: There are two muscles. Rhomboideus minor is situated above major. Insertion: Medial border of scapula between the spine of scapula and inferior angle. Serratus posterior superior: The serratus posterior superior is a thin muscle, situated at the upper and back part of the thorax, deep to the muscles of the rhomboid. Serratus posterior inferior: The serratus posterior inferior is one of the back's two intermediate muscles. 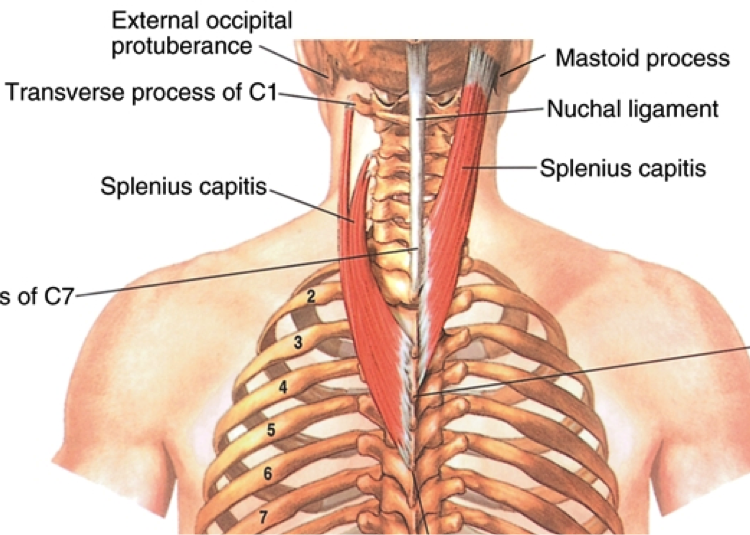 Origin: The serratus posterior inferior originates from the spinal processes of vertebrae T11 to T12 and L1 to L2. Insertion: Inserts into the lower borders of ribs 9-12. 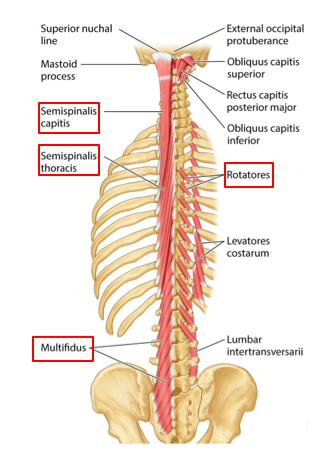 Function: The function of the serratus posterior inferior muscle depresses thoracic ribs 9-12, assisting with forced exhaling. Nerve supply: Posterior rami of spinal nerves C3 and C4. Actions: Rotate head to the same side. Nerve supply: Posterior rami of the lower cervical spinal nerves. Action: Rotate head to the same side. There are in three muscle. Iliocostalis: The muscle is situated laterally within the erector spinae.The muscle is related to the ribs.The muscle divided into three parts. Nerve supply: Posterior rami of the spinal nerves. Bilaterally to extend the vertebral column and head. Longissimus: The muscle is located between the iliocostalis and spinalis.This muscle is the largest of the three columns. unilaterally to laterally flex the vertebral column. Spinalis: The muscle is situated medially within the erector spinae.The muscle is the smallest of the three muscle columns. The muscle has three part. These three muscles called erector spinae. 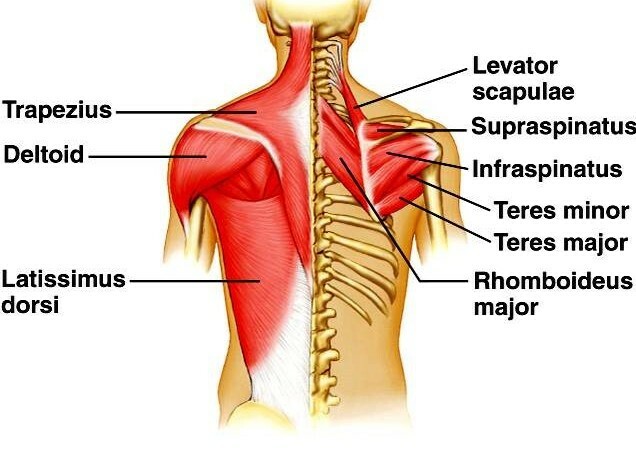 Most Deep Back Muscles: These muscles are situated underneath the erector spinae.They are a group of short muscles. Related to transverse and spinous processes of the vertebral column. Semispinalis: The muscle is the most superficial of the deep intrinsic muscles.The muscle has three parts. Action: Extends and contralaterally rotates the head and vertebral column. Multifidus: The muscle is situated underneath the semispinalis muscle. 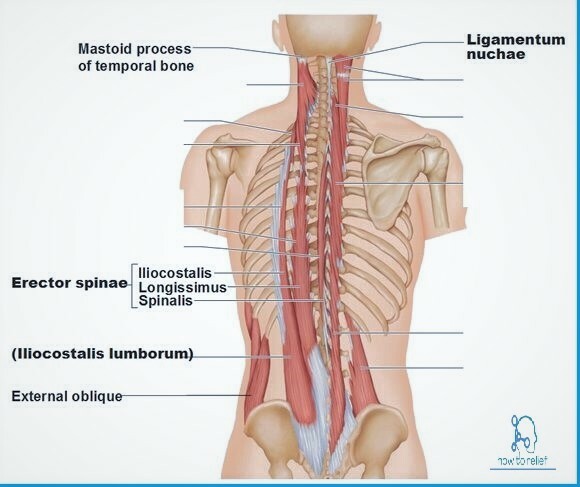 This muscle is best developed in the lumbar area. Insertion: Spinous processes of the vertebrae. Action: Stabilises the vertebral column. Insertion: Lamina and spinous processes of the immediately superior vertebrae. 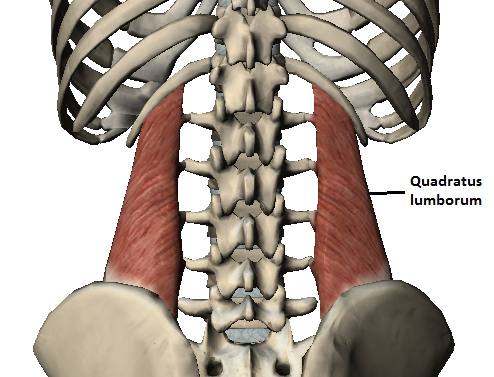 Quadratus Lumborum: The quadratus lumborum is the most posterior deep back muscles of the posterior abdominal wall. The quadratus lumborum is the deepest abdominal muscle and commonly referred to as a back muscle. Insertion: Medial half of 12th rib and transverse processes of lumbar vertebrae.